Shallow- to medium-running crankbaits probably account for more bass than any other lure in the fall when the fish are on the prowl for shad in feeder creeks and coves. Redfish are starting to move inshore and set up at the mouths of bays, inlets and deltas as their annual spawning run commences. The bottom line for fishermen is outstanding fishing from late September through November in the northern Gulf. Likewise, bass fishing is starting to pick up again as the weather begins to cool. Huge schools of threadfin shad are starting to filter away from open-water ledges into bays and tributaries where feeding conditions and water temperatures are more optimum. Bass follow the food, first setting up on ledges at the mouths of inlets and creeks to waylay shad, then migrating back toward shallower water to keep up with their quarry. Bass rule in Dixie and cooler weather brings out an army of anglers who go after them. 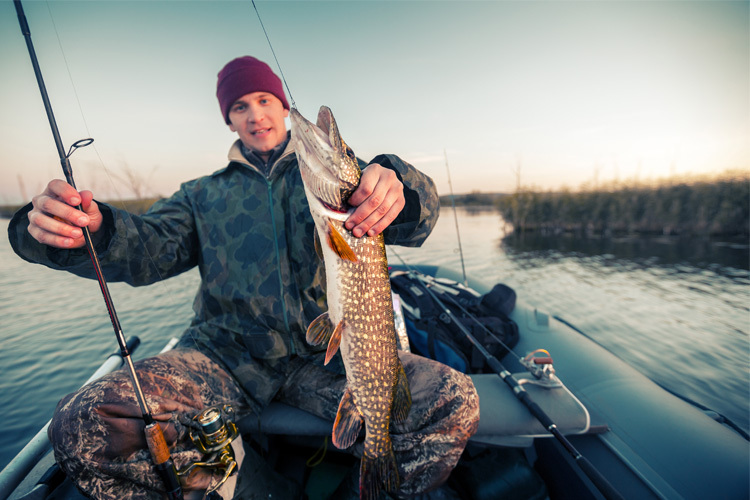 Whether largemouth, smallmouth or spotted bass, they’re available in most waters and sometimes all three varieties are present in a fishery, ready to aggravate or gratify those who seek them. Hot Spots To Fish: When it comes to the South’s best lakes for fall fishing, the big TVA impoundments fit the bill. Because this is bass tournament country, dozens of YouTube videos and Facebook sites of pro anglers offer useful advice on where and how to catch autumn largemouths. 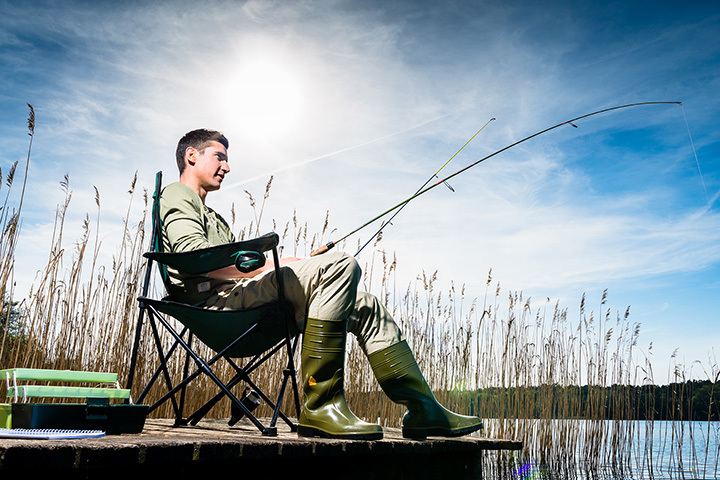 Likewise, guide services are plentiful; just Google “fishing guides” for the lake you’re visiting or type in the town nearest the lake you wish to fish on the interactive map on this page. 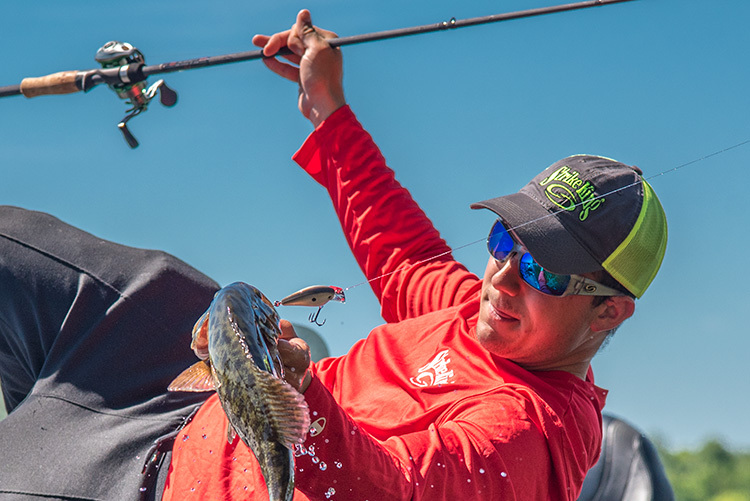 Tackle You’ll Need: A 7-foot medium/heavy rod such as the St. Croix Premier Cranking, a baitcasting reel like the Abu Garcia Revo Winch and 10- to 14-pound-test monofilament makes a good combination to fish downsized lures. Quick tip: This is strictly a match-the-hatch deal. Use lures that are about the same size as wandering shad. If young-of-the-year threadfins are on the bass menu, try small swim baits fished on drop-shot rigs. Best Lures/Baits: Shad-colored, shallow- and medium-diving square-billed or coffin-billed crankbaits are autumn standouts. Popular lures include the Strike King 6XD, Bandit 100 or 200, Duo Realis M65, Livetarget Magnum Shad BaitBall Squarebill, Megabass S-Crank, Lucky Craft Squarebill 2.5, Storm Arashi and Rapala Shad Rap. Fish them around shoreline cover and on the flats between creek drop-offs and the bank. Other fallback baits include spinnerbaits like the Booyah Super Shad, Stanley Vibrashaft and Nichols Pulsator. Good buzzbait options can be found from Lunker Lure, Damiki, Santone and Dirty Jigs. 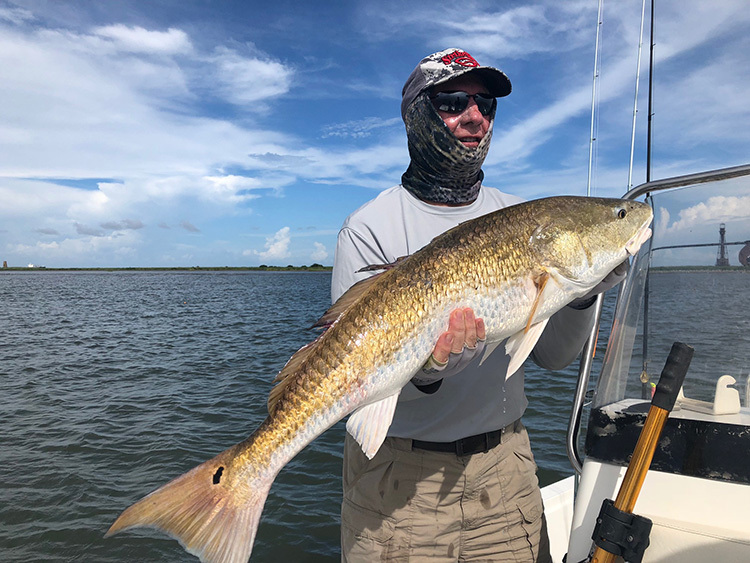 Along the northern Gulf Coast from Carrabelle, FL, to Grand Isle, LA, the redfish season begins in late September and continues in stages through December. Some anglers fish in the surf with cut bait, while others station themselves on area piers or in boats on relatively shallow flats near channel cuts. Hot Spots To Fish: For boating anglers, a couple of spots stick out. Pensacola Bay Pass is a must-fish for boaters. Anchor up on the broad flat between old Fort Pickens and the channel, set out lines as the tide changes to incoming, and hang on. Need more help? Redfish University Pensacola Fishing Charters (850-748-4368, redfishuniversity.com) specializes in the big drum. At Grand Isle, LA, book a trip with Gotta Go Fishing Charters (225-921-3642, gottagofishingcharters.com). The marshes and inshore waters around Venice, LA, are primo redfish haunts as well. Captain Mike Frenette (504-782-0924, laredfish.com or (mike@venicefishing.net) is a top guide here. Louisiana’s coastal waters are ground zero for the hottest autumn redfish action along the northern Gulf Coast. A variety of natural baits and artificials get the job done. Tackle You’ll Need: “Rat” reds of 3 pounds and up, or real bruisers weighing in excess of 20 pounds require a range of tackle options. Bass fishing tackle – whether spinning or baitcasting – is perfect for handling smaller fish and for casting jigs or swimbaits that weigh less than an ounce. A Shimano Stradic spinning reel and 7-foot medium-action Shimano Compre rod with 14-pound-test monofilament. For bigger fish, consider a Penn Battle II BTLII5000 with 20-pound-test monofilament or 40-pound-test braid, and a 30-pound-test fluorocarbon leader. A 7-foot medium-heavy spinning rod (such as the Penn Battalion BATIN1220S70) should handle any bait rigs or lures and wear down a bull redfish in short order. Quick Tip: Incoming tides in late evening or at night are primo times for reds as the fish free-spawn then in the mouths of coastal bays and estuaries. If you can’t fish any other time, make sure you fish the incoming tides. Best Lures/Baits: Redfish aren’t particular about their dietary requirements and will eat anything from blue crabs to halved mullet. 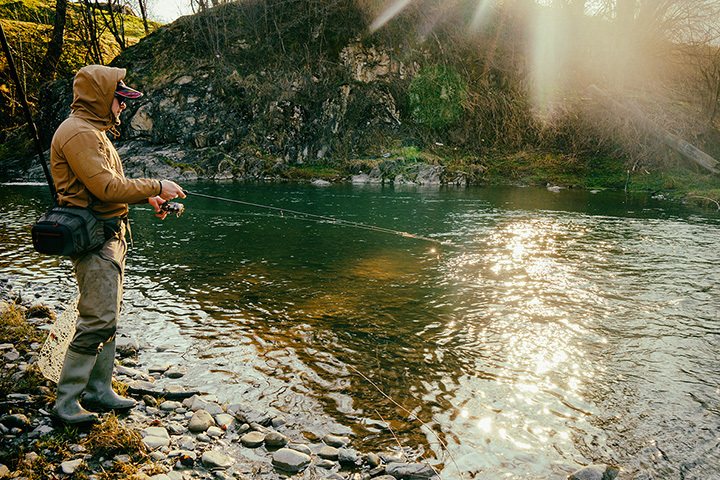 Swimming spoons such as the Johnson Sprite (johnsonfishing.com), swimbaits and jigs or even topwater poppers, such as the Heddon Saltwater Spook, will elicit strikes. 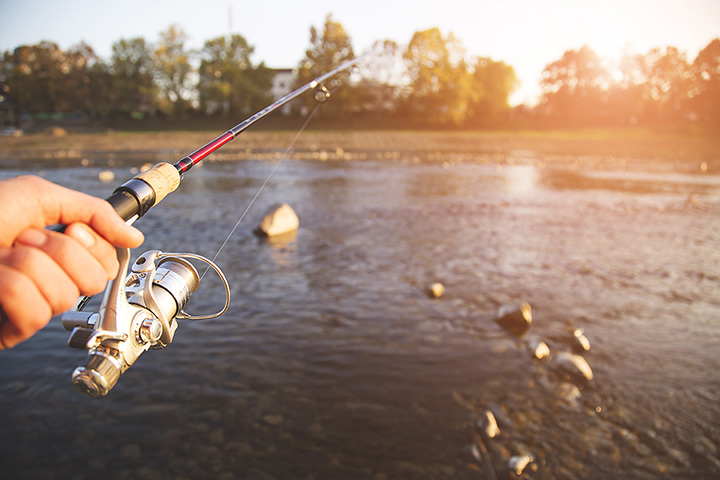 5 Best Fishing Spots in and Around Washington, D.C.